On early census records an occupation listed was "Cooper." I thought it might be fun to let you see what your ancestor did for a living if he was thus employed. Having read many pages on the subject, I set forth, here a synopis of the vocation, trusting that you will folow links for more reading. If anyone would like to add to this, please feel free to write the Baker Block Museum. 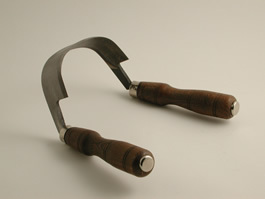 You will find many of the tools for this trade at the museum. Enjoy! 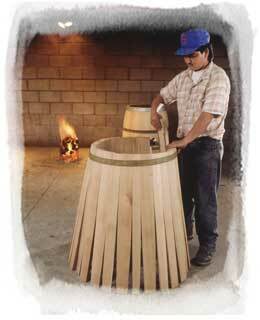 In the 1800s in Europe as well as in our fledgling country a man skilled at making barrels was an important person. Many goods were shipped and stored in barrels (also called casks, tuns, kegs or hogsheads depending on the area of the world and the size of the container). We often think in terms of wine or whiskey when we think of the things likely to be contained in a barrel. But, all sorts of foods were stored in barrels. Sauerkraut was fermented and stored in them. Fish, meats and some vegetables were dried and salted then stored and transported in them. Most any item that could be stored for a length of time would be stored in a barrel to keep out vermin. Fragile items such as eggs would be packed in them among layers of straw to keep them cooler as well as to keep them from breaking. Barrels were great -- they could be rolled down ship gangplanks; have wheels and handles attached to them so a man could cart them about; be strapped onto a pack animal; be strapped together to float behind a raft down a river. One could bury them in a stream or cool earth as refrigerating units. 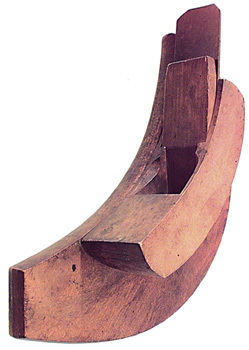 They have been cut in half to feed or water stock, make a cradle for a child, or act as a large mixing bowl for any number of reasons. They were made of any tree that could be worked. Oak was the preferred wood for wine and whiskey casks as the grain is fine and the containers could more easily be made waterproof. Modified, they become butter churns, buckets and wash tubs. One of the biggest uses for barrels in Northwest Florida in the nineteenth century was in the Turpentine Industry. Differing sized barrels were necessary for the storage and shipping of the products (called Naval Stores), pitch, tar, turpentine and such. Most of the larger camps had their own Cooper, often trained by his father or grandfather. Many were Scots while some were blacks who had been taught by the barrel maker on the plantation where they lived. 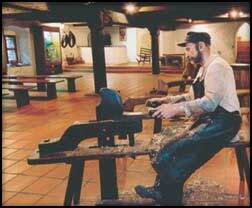 These men were skilled technicians, fashioning barrels from raw wood through many processes. 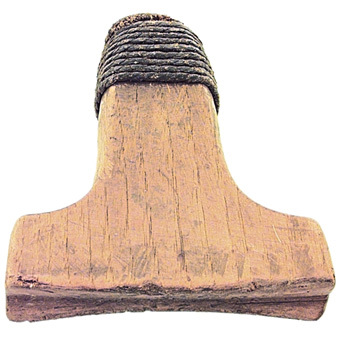 Often they had to fell a tree, cut it into boards, fashion the correctly sized and shaped staves for a particular type of barrel and dry the wood before they could even start building a barrel. A keen eye was needed to assure there were no knots or weak grain in the wood used. 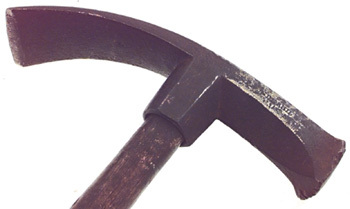 Each stave must be strong and well made. Selecting the right tree for the job was quite a knack and took a lot of experience. Staves had to be planned for smoothness on the outside and slightly cupped inside. The Bevel on their edges must be precise or they would neither fit together nor hold water. Also the tapering of each stave is critical to its fit. Hoops were made by the local blacksmith. (Earlier barrels were made with wooden hoops.) Staves were soaked so they could be curved properly. Some barrels were burned inside while others might be sealed with glue or pitch. 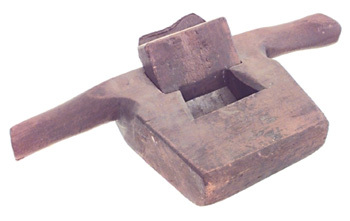 Any that were to be used for food storage, needed to be relatively airtight (tight cooperage) so sealing material would not contaminate foodstuffs. 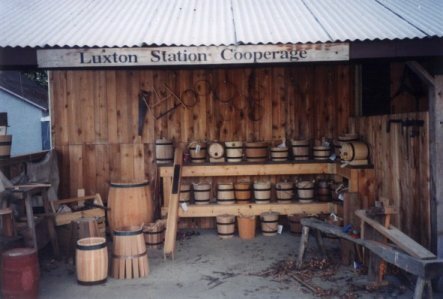 "Slack cooperage" refers to containers that were not tight but would be fine for flour, grains and other non-liquids. There is a very interesting book called "The 'Possum Hunter and the Tar Heels" -- historical novel of post Civil War days. The author, James S. Willoughby experienced many of the things he writes about and fills in with research on things which he does not know about. "Mr. Willoughby has earned his living largely as a self employed turpentine operator . . . running a sawmill and pulpwood operation . . ." Willoughby tells about the turpentine industry's use of barrels and a cooper's trick to keep the staves from falling apart before the hoops were secured on each end of the barrel. The cooper made a "barrel" that was shorter and a bit smaller in diameter than the one he would be making. He then used this form to prop up the staves, placing them all around the form and then drawing a hoop down over the ends. He then turned the staves up the other way over the form and drew another hoop over that end. To understand the process, you might try taking a bunch of sticks and placing them next to one another in a circle, trying to keep them from falling until you can gather them together with a hoop. It is not easy! 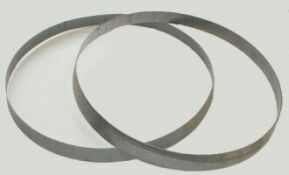 Hoop - circle of iron; several are used to hold the barrel together. Each is driven onto the barrel with the Hoop Driver and a hammer. 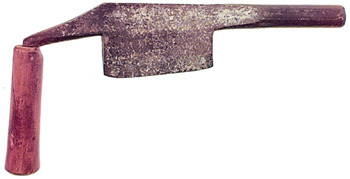 Cooper's In-Shave (below) - for hollowing out anything. 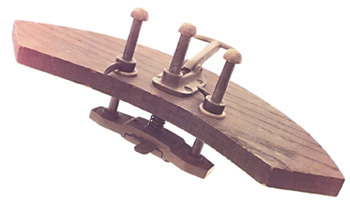 Above: first row left to right - plane, broadax, drawknife. Second row - adze, compass, man working with a drawknife. Today's barrels are constructed differently than they were ages ago and contain different items, but are nonetheless as important. As you are looking around in your everyday life, why not see how many uses you can find for barrels.